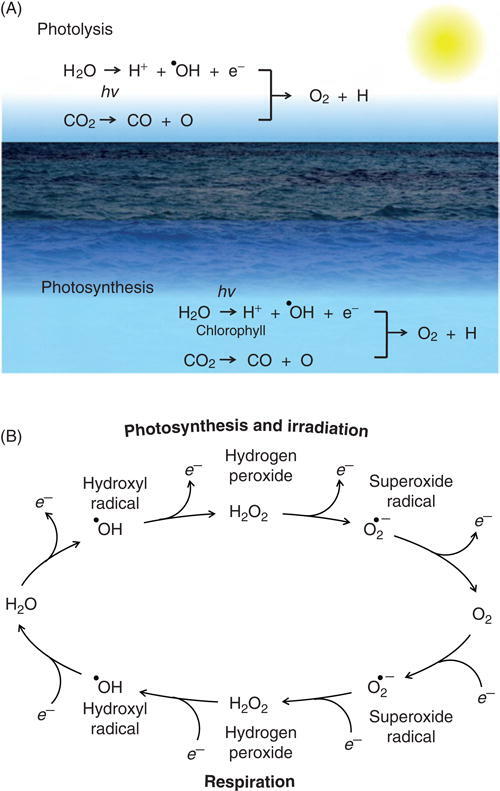 Mye interessant om ROS (reactive oxygen species), som er skadevirkningene fra oksygenforbruk. Nevner ikke CO2 som antioksidant, men beskriver superoksid dismutase, glutathion og c-vitamin, m.m. Glutathion er viktigste intra-cellulære antioksidant. Reactive Oxygen Species (ROS) have long been known to be a component of the killing response of immune cells to microbial invasion. Recent evidence has shown that ROS play a key role as a messenger in normal cell signal transduction and cell cycling. Reactive Oxygen Species (ROS) is a phrase used to describe a number of reactive molecules and free radicals derived from molecular oxygen. The production of oxygen based radicals is the bane to all aerobic species. Detoxification of reactive oxygen species is paramount to the survival of all aerobic life forms. As such a number of defense mechanisms have evolved to meet this need and provide a balance between production and removal of ROS. An imbalance toward the pro-oxidative state is often referred to as “Oxidative stress”. The effect of reactive oxygen species on cellular processes is a function of the strength and duration of exposure, as well as the context of the exposure. The typical cellular response to stress is to leave the cell cycle and enter into G0. With continued exposure and/or high levels of ROS, apoptosis mechanisms are triggered. 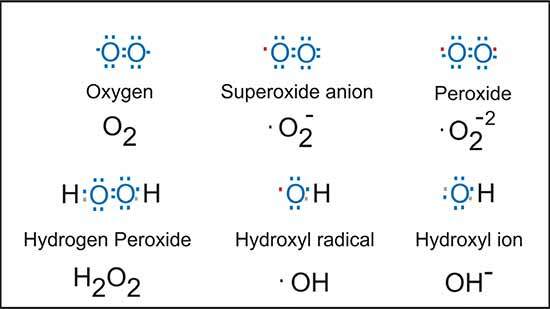 Reactive oxygen species have a role in a number of cellular processes. High levels of ROS, which can lead to cellular damage, oxidative stress and DNA damage, can elicit either cell survival or apoptosis mechanisms depending on severity and duration of exposure. The interest in reactive oxygen species originally revolved around the pathology associated with the deleterious effects of aerobic respiration: the necessary evil caused by the leakage from the electron transport chain in mitochondria. In this context, research involved the role that these agents played in aging, chronic diseases and cancer. A new frontier was born with the discovery that the “oxidative burst” by phagocytic cells was actually the result of the intentional production of reactive oxygen species. This was thought to be a very specific application where specific cells produced what can only be described as toxic agents in order to kill invading microorganisms. Further recent work has shown that ROS are produced in all cell types and serve as important cellular messengers for both intra- and inter-cellular communications. It is now apparent that a very complex intra-cellular regulatory system involving ROS exists within cells. Cells respond to ROS moieties in different ways depending on the intensity, duration and context of the signaling. In regards to intracellular signaling it appears that hydrogen peroxide (H2O2) is the most interesting candidate, while nitric oxide (•NO) is involved primarily with intercellular signaling. Free oxygen radicals in whole blood correlate strongly with high-sensitivity C-reactive protein. Nevner at mengden ROS (Reactive Oxygen Species) i blod korresponderer direkte til CRP, en betenneslsesmarkør. Increased concentrations of reactive oxygen molecules are believed to be a driving force in inflammation. Although evident in tissue culture and animal models, it has been difficult to link reactive oxygen species (ROS) and inflammatory markers in humans. In patients recruited to represent a broad spectrum of risk factors, we investigated the relationship between the plasma concentration of oxygen radicals and high-sensitivity C-reactive protein (hs-CRP), utilizing a new chemistry with an easily oxidized chromophore. ROS and hs-CRP were measured in blood from 59 fasting subjects selected to have variable risk predicted by classical risk factors. ROS were determined using the free oxygen radical monitor, which is an indirect colorimetric assay for the concentration of hydroperoxides in whole blood. Using log transformation, the correlation between ROS and hs-CRP was r = 0.505 (P < 0.0001). This relationship between ROS and hs-CRP was comparable (r = 0.527, P = 0.001) in the subgroup not currently on statin therapy (n = 39). ROS were not correlated with Framingham risk, r = -0.027 (P = 0.84). ROS directly measured in human blood correlates strongly with hs-CRP. En studie som beskriver mekanismene bak hvordan vagus nerven henger sammen med immunsystemet. Med en sterk vagusnerve (høy HRV) kan betennelser dempes. Inhibition of sympathoexcitatory circuits is influenced by cerebral structures and mediated via vagal mechanisms. Studies of pharmacologic blockade of the prefrontal cortex together with neuroimaging studies support the role of the right hemisphere in parasympathetic control of the heart via its connection with the right vagus nerve. Neural mechanisms also regulate inflammation; vagus nerve activity inhibits macrophage activation and the synthesis of tumor necrosis factor in the reticuloendothelial system through the release of acetylcholine. Data suggest an association between heart rate variability and inflammation that may support the concept of a cholinergic anti-inflammatory pathway. The neurovisceral integration model of cardiac vagal tone integrates autonomic, attentional, and affective systems into a functional and structural network. This neural network can be indexed by heart rate variability (HRV). High HRV is associated with greater prefrontal inhibitory tone. A lack of inhibition leads to undifferentiated threat responses to environmental challenges. The cholinergic anti-inflammatory pathway is associated with efferent activity in the vagus nerve, leading to acetylcholine release in the reticuloendothelial system that includes the liver, heart, spleen, and gastrointestinal tract. Acetylcholine interacts with the alpha-7 nicotinic receptor on tissue macrophages to inhibit the release of proinflammatory cytokines, but not anti-inflammatory cytokines such as IL-10. Approximately 80% of the fibers of the vagus nerve are sensory; ie, they sense the presence of proinflammatory cytokines and convey the signal to the brain. Efferent vagus nerve activity leads to the release of acetylcholine, which inhibits tumor necrosis factor (TNF)-alpha on the macrophages. Cytokine regulation also involves the sympathetic nervous system and the endocrine system (the hypothalamic-pituitary axis). In a related report from the same study, vagal modulation of fibrinogen was investigated.7 Fibrinogen is a large glycoprotein that is synthesized by the liver. Plasma fibrinogen is a measure of systemic inflammation crucially involved in atherosclerosis. The brain and the heart are intimately connected. Both epidemiologic and experimental data suggest an association between HRV and inflammation, including similar neural mechanisms. Evidence of an association between HRV and inflammation supports the concept of a cholinergic anti-inflammatory pathway. Supplementary oxygen for nonhypoxemic patients: O2 much of a good thing? Nevner alt om hvordan oksygen er skadelig i høye mengder, både i klinisk sammenheng og eller. Bl.a. fordi med høy O2 går CO2 ned og da trekker blodårene seg sammen. Supplementary oxygen is routinely administered to patients, even those with adequate oxygen saturations, in the belief that it increases oxygen delivery. But oxygen delivery depends not just on arterial oxygen content but also on perfusion. It is not widely recognized that hyperoxia causes vasoconstriction, either directly or through hyperoxia-induced hypocapnia. If perfusion decreases more than arterial oxygen content increases during hyperoxia, then regional oxygen delivery decreases. This mechanism, and not (just) that attributed to reactive oxygen species, is likely to contribute to the worse outcomes in patients given high-concentration oxygen in the treatment of myocardial infarction, in postcardiac arrest, in stroke, in neonatal resuscitation and in the critically ill. The mechanism may also contribute to the increased risk of mortality in acute exacerbations of chronic obstructive pulmonary disease, in which worsening respiratory failure plays a predominant role. To avoid these effects, hyperoxia and hypocapnia should be avoided, with oxygen administered only to patients with evidence of hypoxemia and at a dose that relieves hypoxemia without causing hyperoxia. … the aim of oxygen therapy should be to increase the delivery of oxygen rather than to reach any arbitrary concentration in the arterial blood. 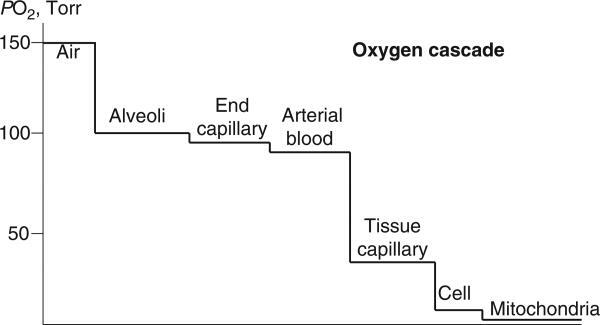 Hyperoxia marginally increases the arterial blood oxygen content (CaO2), theoretically increasing tissue oxygen delivery (DO2) assuming no reduction in tissue blood flow. However, oxygen causes constriction of the coronary, cerebral, renal and other key vasculatures – and if regional perfusion decreases concomitantly with blood hyperoxygenation, one would have a seemingly paradoxical situation in which the administration of oxygen may place tissues at increased risk of hypoxic stress. Any tissue damage in the course of oxygen administration would plausibly be attributed to the underlying disease process. One molecule, many derivatives: a never-ending interaction of melatonin with reactive oxygen and nitrogen species? Alt om hvordan melatonin virker som en antioksidant. Jo større ROS utfordring vi har, jo mer spiser det av melatoninlagrene våre. Når vi får mindre ROS, feks gjennom kostholdsendringer og stressreduksjon, så økes melatonin igjen. Melatonin is a highly conserved molecule. Its presence can be traced back to ancient photosynthetic prokaryotes. A primitive and primary function of melatonin is that it acts as a receptor-independent free radical scavenger and a broad-spectrum antioxidant. The receptor-dependent functions of melatonin were subsequently acquired during evolution. In the current review, we focus on melatonin metabolism which includes the synthetic rate-limiting enzymes, synthetic sites, potential regulatory mechanisms, bioavailability in humans, mechanisms of breakdown and functions of its metabolites. Recent evidence indicates that the original melatonin metabolite may be N1-acetyl-N2-formyl-5-methoxykynuramine (AFMK) rather than its commonly measured urinary excretory product 6-hydroxymelatonin sulfate. Numerous pathways for AFMK formation have been identified both in vitro and in vivo. These include enzymatic and pseudo-enzymatic pathways, interactions with reactive oxygen species (ROS)/reactive nitrogen species (RNS) and with ultraviolet irradiation. AFMK is present in mammals including humans, and is the only detectable melatonin metabolite in unicellular organisms and metazoans. 6-hydroxymelatonin sulfate has not been observed in these low evolutionary-ranked organisms. This implies that AFMK evolved earlier in evolution than 6-hydroxymelatonin sulfate as a melatonin metabolite. Via the AFMK pathway, a single melatonin molecule is reported to scavenge up to 10 ROS/RNS. That the free radical scavenging capacity of melatonin extends to its secondary, tertiary and quaternary metabolites is now documented. It appears that melatonin’s interaction with ROS/RNS is a prolonged process that involves many of its derivatives. The process by which melatonin and its metabolites successively scavenge ROS/RNS is referred as the free radical scavenging cascade. This cascade reaction is a novel property of melatonin and explains how it differs from other conventional antioxidants. This cascade reaction makes melatonin highly effective, even at low concentrations, in protecting organisms from oxidative stress. In accordance with its protective function, substantial amounts of melatonin are found in tissues and organs which are frequently exposed to the hostile environmental insults such as the gut and skin or organs which have high oxygen consumption such as the brain. In addition, melatonin production may be upregulated by low intensity stressors such as dietary restriction in rats and exercise in humans. Intensive oxidative stress results in a rapid drop of circulating melatonin levels. This melatonin decline is not related to its reduced synthesis but to its rapid consumption, i.e. circulating melatonin is rapidly metabolized by interaction with ROS/RNS induced by stress. Rapid melatonin consumption during elevated stress may serve as a protective mechanism of organisms in which melatonin is used as a first-line defensive molecule against oxidative damage. The oxidative status of organisms modifies melatonin metabolism. It has been reported that the higher the oxidative state, the more AFMK is produced. The ratio of AFMK and another melatonin metabolite, cyclic 3-hydroxymelatonin, may serve as an indicator of the level of oxidative stress in organisms. Primitive, and protective, our cellular oxygenation status? Om hvordan oksygennivået i mitokondriene er nesten ingen ting, og har vært slik siden tidenes morgen for å beskytte oss mot svingende oksygennivåer i atmosfæren gjennom evlusjonen. 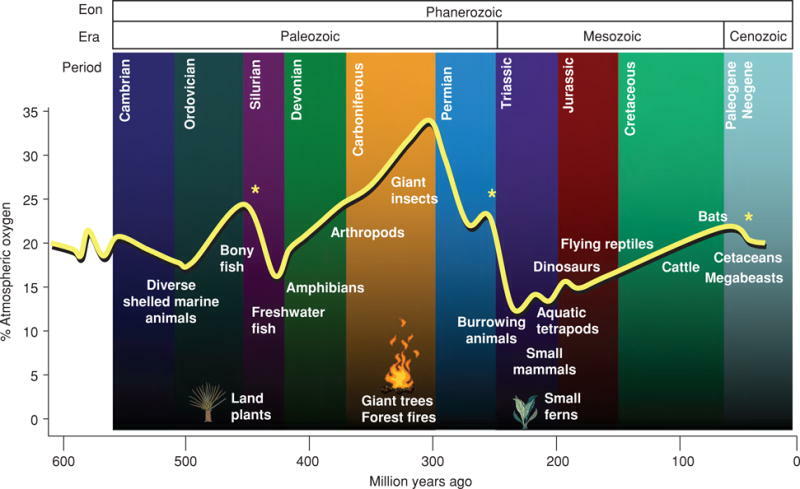 The primitive atmosphere where aerobic life started on earth was hypoxic and hypercapnic. Remarkably, an adaptation strategy whereby O2 partial pressure, PO2, in the arterial blood is maintained within a low and narrow range of 1-3 kPa, largely independent of inspired PO2, has also been reported in modern water-breathers. In mammalian tissues, including brain, the most frequently measured PO2 is also in the same low range. Based on the postulate that basic cellular machinery has been established since the early stages of evolution, we propose that this similarity in oxygenation status is the consequence of an early adaptation strategy which, subsequently, throughout the course of evolution, maintained cellular oxygenation in the same low and primitive range independent of environmental changes. 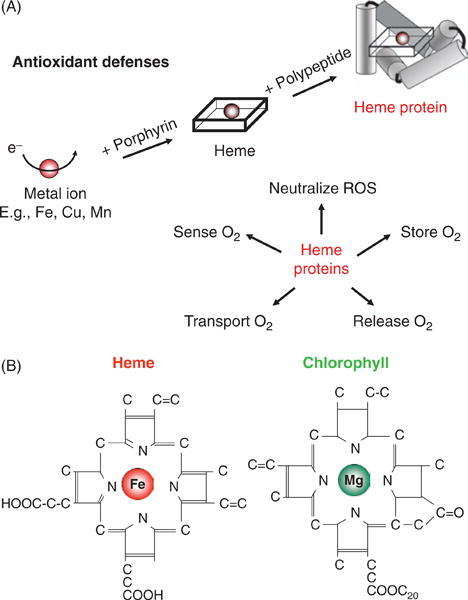 Specialized enzymes aimed at protecting cells against O2 toxicity are thought to have appeared very early in evolution but we suggest that preventing high PO2’s is also the simplest and most efficient tool for limiting reactive oxygen species (ROS) production. It could be a cue mechanism to widen our understanding of the ageing process.